As with other parts of business, technology is having a profound effect on the world of work and management of human resources. Technology is a key enabler for faster, cheaper and better delivery of HR services and in some cases can have a transformational as well as unintended negative effect. 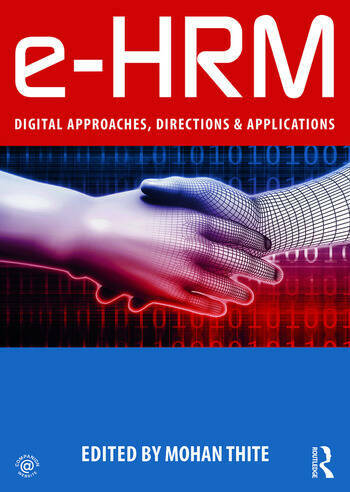 Designed for the digital era, e-HRM is one of the first textbooks on these developments. It incorporates the most current and important HR technology related topics in four distinct parts under one umbrella, written by leading scholars and practitioners drawn from across the world. All the chapters have a uniform structure and pay equal attention to theory and practice with an applied focus. Learning resources of the book include chapter-wide learning objectives, case studies, debates on related burning issues, and the companion website includes lecture slides and a question bank. Mohan Thite is an Associate Professor in HRM at Griffith University, Australia, with over 30 years of professional and academic experience in HR. He has worked extensively in the IT industry as HR professional, researcher and consultant. His key research interests and publications are in Strategic Human Resource Management (SHRM), Digital HRM, International HRM, Global talent management and mobility. He is the Founding Editor-in-Chief of South Asian Journal of HRM.